Armenia has placed an order for Sukhoi Su-30SMs, thus becoming the fourth export customer for this recent version in the family of two-seat, heavyweight, multi-role fighters, which feature the “integral three-plane” aerodynamic layout and thrust-vectoring. News of the sale surfaced in local media last month and was confirmed by official sources earlier in February. A statement released by the defense ministry says: “The Republic of Armenia has signed the respective deal to purchase the Russian-made Su-30SM aircraft.” Later, the ministry’s spokesman, Artsrun Ovannisyan, told news agencies that the equipment is being acquired at the Russian domestic price (which effectively means $50 million per airframe) and that the number of aircraft on order is four, but with the rider that this order is being made “at the initial stage.” Other details of the deal have yet to emerge. In another recent development for the Su-30, the Indian defense ministry sent an official request to Russia’s Federal Service for Military Technical Cooperation (FSVTS) and Rosoboronexport arms vendor for 18 additional Su-30MKI assembly kits, a potential deal confirmed by FSVTS officials. If the sides agree on price—an estimated $1.1 billion—and delivery terms, the purchase will come under the previously signed framework agreement between Moscow and New Delhi covering the assembly of the type at Hindustan Aeronautic Limited (HAL)’s plant at Nasik. Under the wider deal, Russia has already supplied 272 such aircraft in both operable (50) and knocked-down kit (222) form. Some of the kits are still in the process of assembly at HAL. Reportedly, shipments of the additional kits should commence in 2020. 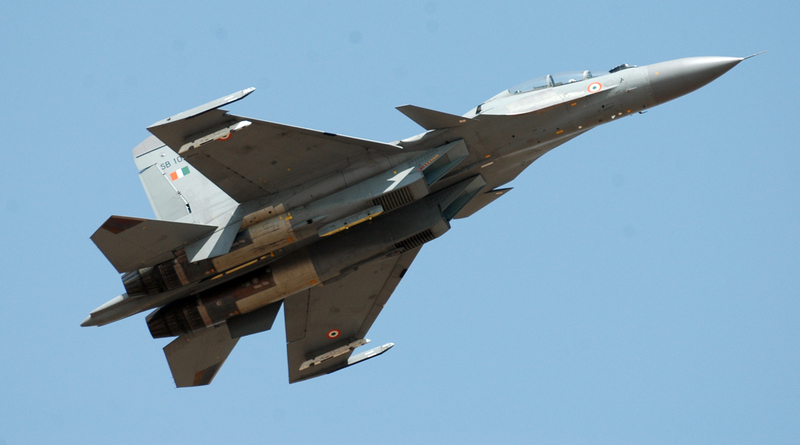 If all goes to plan, the Indian air force will have 14 squadrons equipped with the Su-30MKI. For Irkut, a member of UAC, the additional orders for the Su-30SM/MKI are important to bridge the gap between the completion of the production run of the Sukhoi fighters and commencement of serial manufacture of the MC-21 passenger jetliner, which has suffered repeated delays. To help the manufacturer overcome the difficulties of the transition period, the Russian defense ministry has voiced plans to buy 60 more Su-30SMs, to add to 112 already acquired since the first delivery in February 2014. Earlier, UAC president Yuri Slyusar said that Irkut hopes to have sufficient backlog to support Sukhoi fighter jet production through 2022 at an annual rate of 12-14 airframes. The Su-30SM represents a further improved version of the Su-30MKI, with which it shares airframe and AL-31FP augmented turbofans with thrust-vectoring. The differences are confined to avionics and mission equipment, reflecting a 12-year gap between the maiden flights, since the Su-30MKI flew for the first time in November 2000. The N-011М Bars radar is replaced by the more powerful Bars-R with longer detection ranges and the ability to employ the RVV-SV medium-range air-to-air missile and other advanced weaponry. Instead of the Elbit Systems SU967 head-up display, the Su-30SM comes with either a Thales Avionics SMD55S/VEN-3022 or Russian-made IKSh-1M, both offering a wider field of view. The Russian-made LINS-1000RS inertial navigation replaces the Thales INS/GPS Totem. The Su-30SM is also equipped with the Khibiny self-protection EW suite instead of Israeli electronic countermeasures in the Su-30MKI. To date, shipments of Su-30SM variants to Russian domestic customers Belarus and Kazakhstan, plus customized export Su-30MKIs to India, and derivative Su-30MKMs to Malaysia, and Su-30MKAs to Algeria, are approaching 500. The remaining order backlog and recent commitments indicate a production run of up to 600.